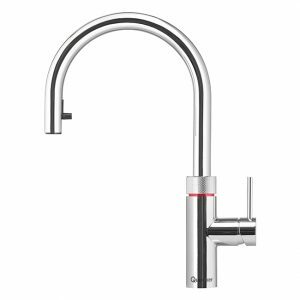 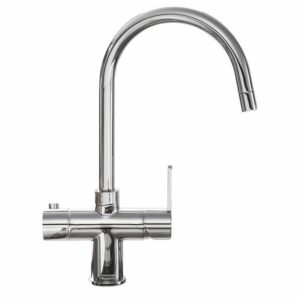 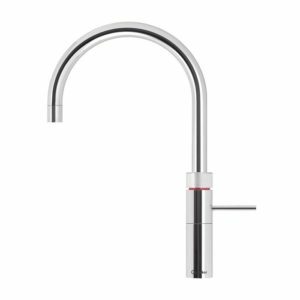 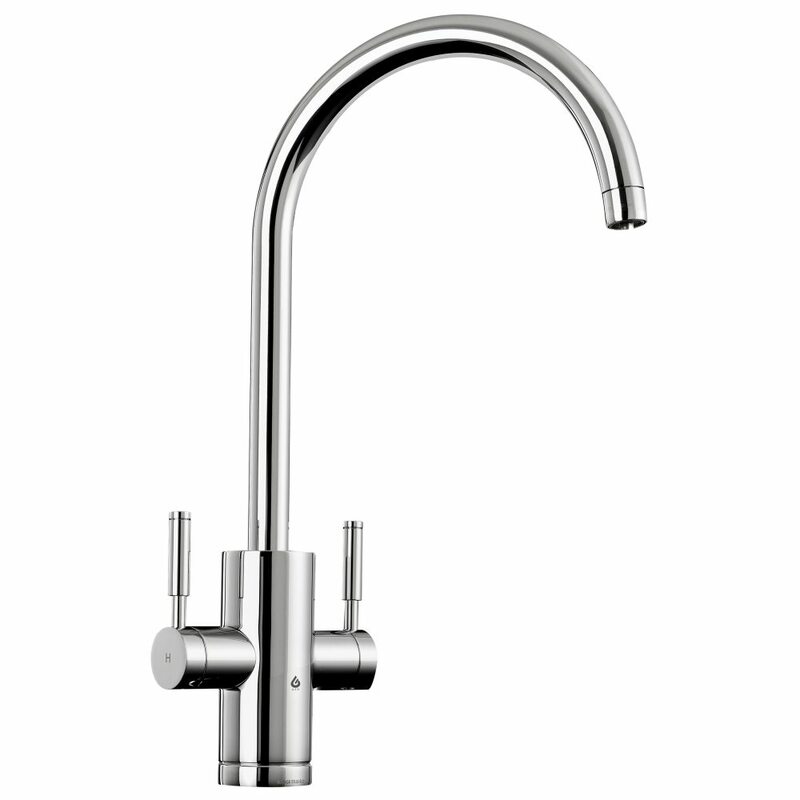 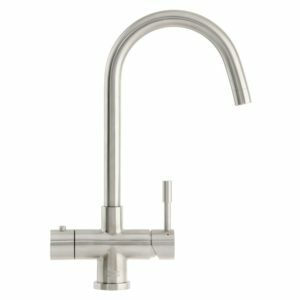 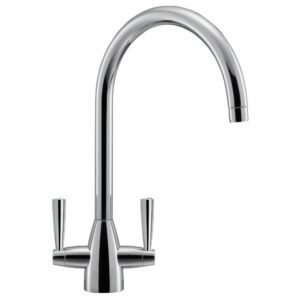 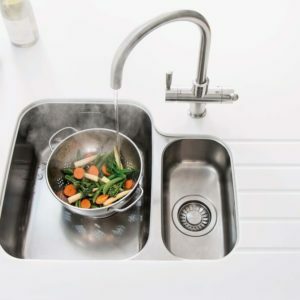 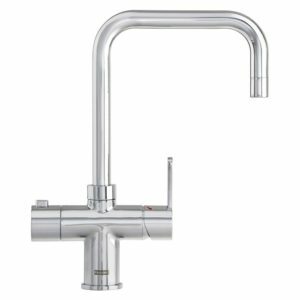 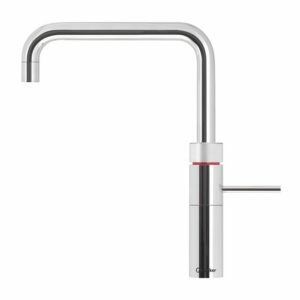 The Rangemaster GEO 4-in-1 tap dispenses hot, cold, filtered cold and filtered steaming hot water from a single spout. 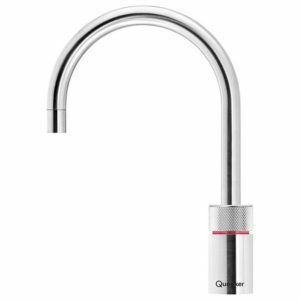 The steaming water is dispensed at 98 degrees and is controlled by a separate magnetically controlled safety fob. 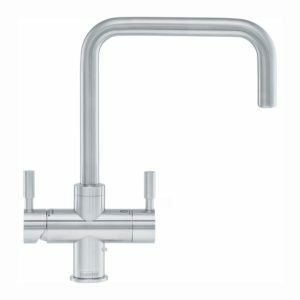 This model is finished in chrome.